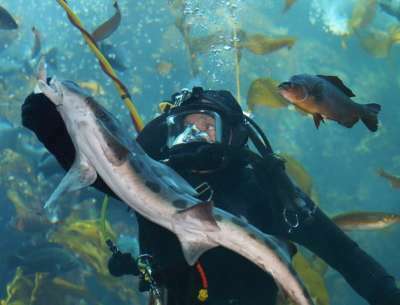 Join the Monterey Symphony in a celebration of the Open Ocean at the Monterey Aquarium Friday, May 3, 2019. Enjoy a strolling dinner, delicious wines and private access to the Aquarium's Open Ocean exhibit. Silent and live auctions, musical moments and ocean-themed surprises await. All proceeds benefit the Monterey Symphony.